Some of the features of our products are fairly obvious. But inid you know that the headroom of the LEHLE STEREO VOLUME is high enough for studio applications? Or that the LEHLE P-SPLIT II can be used as a reamping box too? 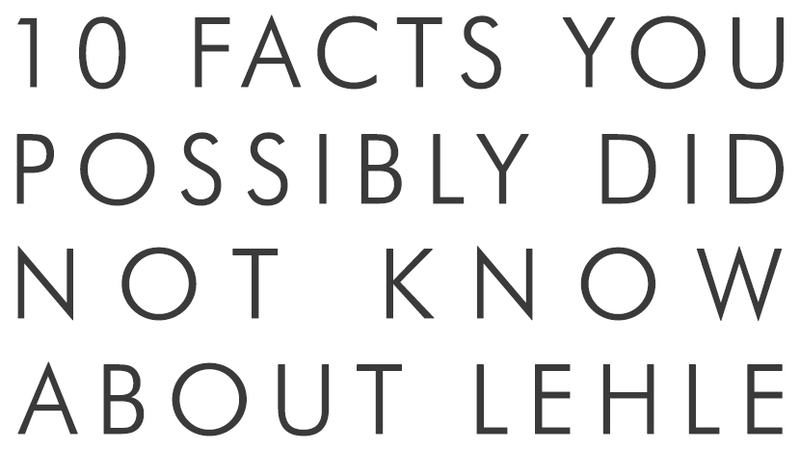 Here are 10 Lehle facts that you probably didn’t know, and possibly had never even thought about. With every LEHLE pedal we took care to make sure that you can mount it easily to your pedalboard. Of course velcro is the most common method, but often not very reliable. If you want to mount it the most secure way, simply turn it around and look at the bottom plate. Can you see the 2 holes? These are for mounting the pedal with screws. Simply open the housing (remove 4 black Allen screws) and use the 2 included screws to fasten the LEHLE pedal onto your board. Forever. On the LEHLE VOLUME pedals you don’t need to open the casing, since it has 4 holes that you can use to mount the pedal. Don’t want to use the screws? Try using 3M DUAL LOCK, it’s much tighter and thicker than standard velcro. 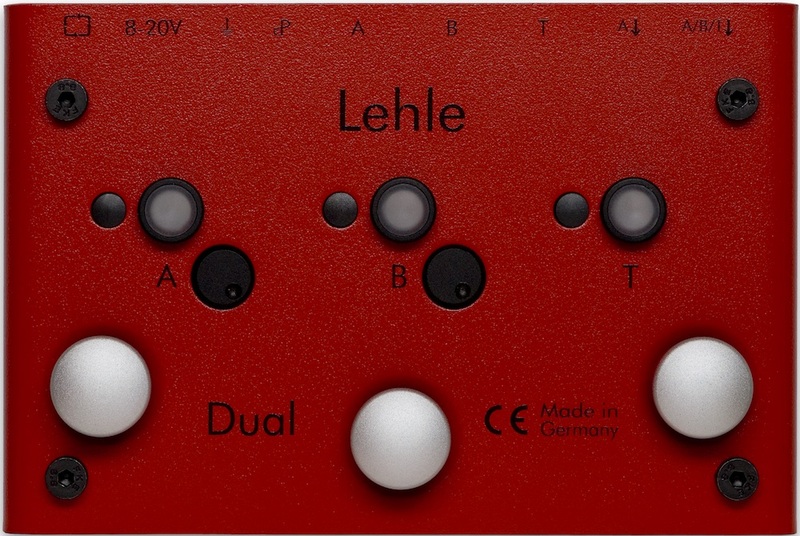 Some of the LEHLE pedals have a passive TRS path (LITTLE LEHLE II, D.LOOP SGoS, P-SPLIT II, 3at1 SGoS). This means it doesn’t matter if your signal is balanced, stereo, mono or dual mono. Hidden feature 1: You can use the P-SPLIT II to balance or unbalance a signal. And yes, you can also use it as a reamping box. Hidden feature 2: with output A on the LITTLE DUAL and DUAL SGoS you have your own balanced output on-tap. Use it to send a balanced signal to the mixing console or an audio interface. 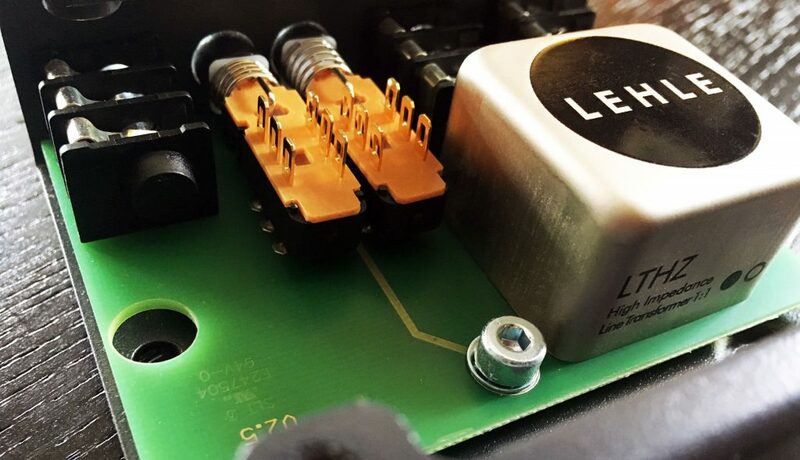 Did you know not all of the LEHLE pedals need a power supply to work? Although there’s an LED indicator, the LITTLE LEHLE II and the LITTLE DUAL have a passive switching mechanism, so they work without any power supply. Of course this means there’s no light from the LED, but for some occasions this is not necessary and saves you a power supply outlet for something else. Even the active devices offer an “emergency mode“: if your power supply fails, the devices switch to true bypass and the signal is just sent straight through. This gives you the chance to finish the your song, which keeps your fans happy too. First a little info on audio and mathematics: if you have an audio signal and double it, you get a volume increase of +6 dB. E.g. if you play one amplifier and add another one, you get the double amount of sound pressure level (SPL). If you just want to add another amplifier but keep the level, you’d need to decrease the level being sent to the amps. 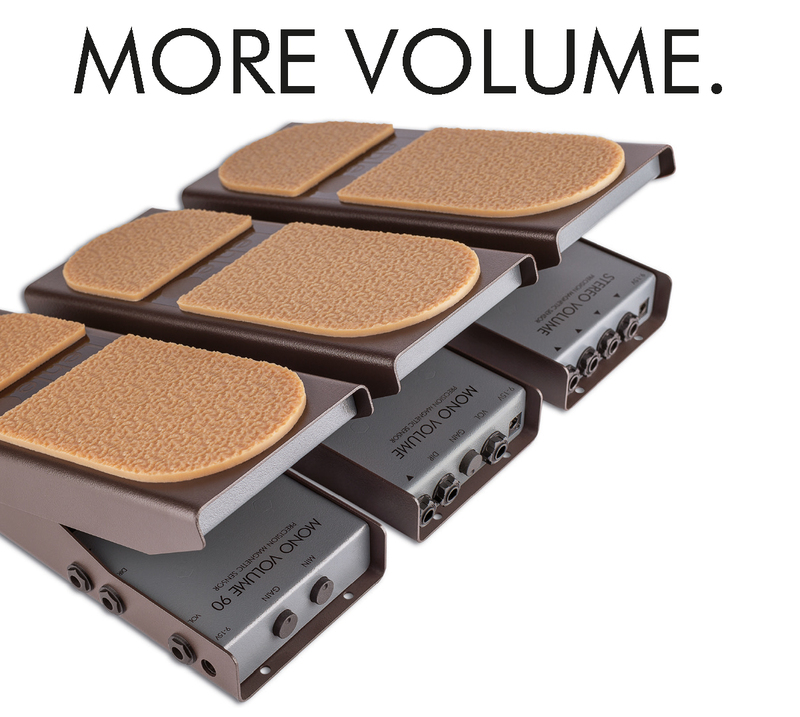 This is the purpose of the volume controls on the DUAL SGoS: dial in the amount of level you want to decrease. The handy feature of these pots is that they are only in the signal path if both outputs (A and B) are activated. If only A or B is activated you get the full signal without decrease. And you got it: the pots are passive; so there’s no active component (e.g. amplifier) in the signal path. I often get asked where the midi jack on the LEHLE SGoS devices is. It’s not obvious, but the leftmost jack is the midi jack. Now maybe you are asking yourself how you can connect your 5-pin DIN connector? Well, let’s take a look at a midi signal and its cable: to work it needs a shield and 2 lines which differ in voltage (5 V and 0 V). If you counted right, you see you need only 3 wires for a midi signal. And a TRS jack is perfect for this application and it is much more reliable than standard DIN jacks. We have special cables from TRS to 5-pin DIN jack, so you can hook up your midi devices to our LEHLE SGoS devices. If you have more than one LEHLE with midi, check out the MIDI JUNCTION, a patchbay for distributing the midi signals. 6. Not all gold glitters! 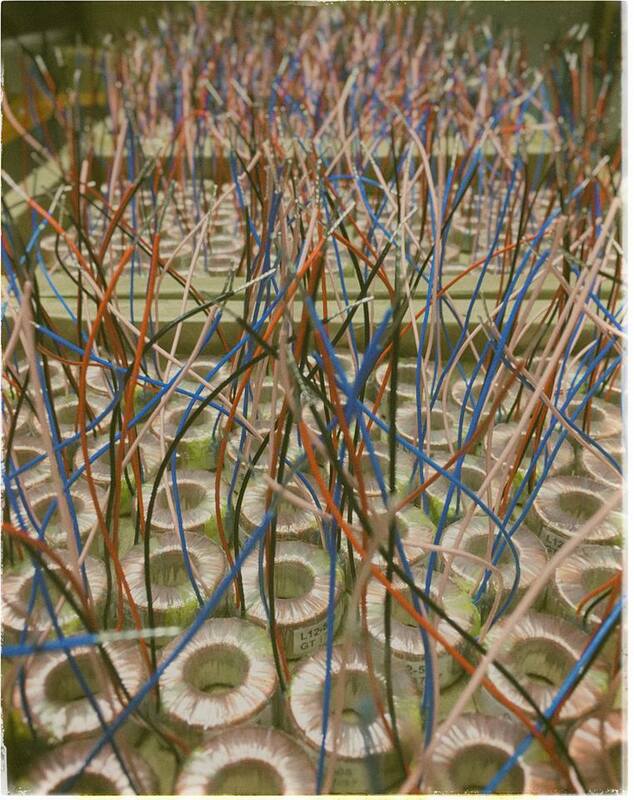 There are a lot of myths about gold-plated jacks, sockets, switches and relays. At LEHLE we use gold plated switches and relays. But why not gold-plated sockets? A) Usually standard cables have a nickel-plated jack. Connecting a nickel-plated jack to a gold-plated socket has no advantage, since the quality of the audio transfer is limited due to the nickel-plated jack. B) Nickel is harder than gold. If you constantly use nickel on gold, the gold plating will soon be gone, as it’s very thin. Once this happens the chances are that the quality of the audio signal is worse than nickel on nickel. Using gold-plated relays and switches has a different approach: these are in a closed casing and the wear isn’t that high as with sliding contacts like a jack in a socket. This makes it extremely reliable. As mentioned above, some of our pedals have a passive signal path and possibly a TRS path as well. That said, they don’t care if they are placed on a pedal board on stage or if they are in heavy usage in a studio. Send a mixer signal with balanced output through a pedal, switch it, mute it, whatever. The LEHLE pedals with an active signal path like the MONO VOLUME, MONO VOLUME 90, STEREO VOLUME and the buffer series like the SUNDAY DRIVER and SUNDAY DRIVER SW definitely have enough headroom to work with studio-levels. E.g. the STEREO VOLUME has a headroom of 12 dBu which is enough for using it as a foot controller for your aux-effects. At LEHLE we have developed and are building our own transformer for the pedals like the LITTLE DUAL, P-SPLIT II or DUAL SGoS, so that you can split and balance your signals. But did you know we are providing them to other companies as well? For example AEA Microphones are using our transformers in their high-end ribbon mics. But not only established companies are utilising them, they have even infiltrated the DIY scene. Send us an email if you’re interested in having your own LEHLE transformer. If there’s a new product in the pipeline, a lot of tests need to happen: measuring different component values and of course testing audio behaviour. Blind tests, comparisons between prototypes and so on. But since we are using a lot of our own mechanical parts, developed & produced in-house, like our switch buttons and housings, or in case of the LEHLE VOLUME pedals the breaks, axles, etc. we need machines for checking out the durability of the used parts. 10. To boost or not to boost? Of course, the louder the better? Or perhaps not? Well, it’s great to boost a signal, but sometimes we should be able to reduce the level as well. One thing that is often achieved with a VOLUME pedal, is also a feature of the LEHLE JULIAN: aside from the parametric EQ and a treble control, its gain control can boost and decrease the level up to +/- 15 dB. This is a great feature if your amp sounds perfect with the unity signal of your guitar, but you want to decrease the interaction of the amp’s gain stage. Simply dial-in less gain on the JULIAN, adjust the EQ to your taste and finally activate the JULIAN and your amp will have a completely different style with less gain. – Burkhard’s last name is “Lehle“, while his middle name is “Georg“. – My first name is Joachim, but I’ve been called “Joki“ since the age of 3. Actually “Joki“ is in my passport as well.